Osisko Metals Incorporated (the “Company” or “Osisko Metals”) (TSX-V: OM; FRANKFURT: OB5) is pleased to announce that it has completed its innovative geological analysis of the Key Anacon deposit and the Bathurst Mining Camp (“BMC”) yielding an initial ten (10) new greenfield exploration targets located along 72 kilometres of strike length of the Brunswick Horizon that is now 100% owned by the Company, following recent staking in the vicinity of the Key Anacon and Gilmour South deposits, and the former producing Brunswick No. 6 and No. 12 mines. All targets are between surface and 200 metres vertical depth and will be drill-tested in 2019. The 2018 drilling program on the Key Anacon and Gilmour South deposits confirmed the presence of the Brunswick Horizon in these two deposits and geological re-interpretation now predicts its presence in a continuous belt connecting Gilmour South with Key Anacon. The belt includes 37 kilometres of strike length that is virtually unexplored. This has allowed new exploration target generation using innovative data analysis (geochemistry, geophysics, geology) and advanced 3D modeling techniques “Common Earth Modelling” (see list of target area details). 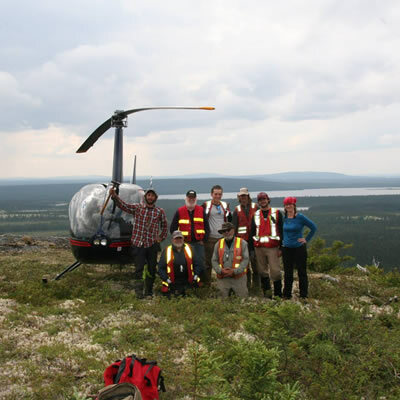 The foundation of the new exploration target areas comes from the extensive experience of the Company’s exploration team in the BMC in conjunction with geological investigations by the Government of New Brunswick. Within the immediate Key Anacon area, there are two (2) drill-ready, untested targets along the Brunswick Horizon, with indications of mineralization in previous work combined with geophysical anomalies within our integrated Common Earth Model. The mineralized horizon within Key Anacon, at both the Titan and Main Zones, is open at depth and along strike. Three additional targets have been identified along the 37-kilometre strike length of the Brunswick Horizon south of Key Anacon. Furthermore, immediately to the southwest of Key Anacon, newly interpreted thrust faulting potentially brings panels of the Brunswick Horizon close to surface where no historical exploration has taken place. One (1) new exploration target has been identified in this area. On the Company’s properties south of the Brunswick No. 6 mine, four (4) prospective areas have resulted from the Company’s target generation process. These occur along 13 kilometres of sporadically-tested Brunswick Horizon that connects Gilmour South to the Brunswick No. 6 mine. The Company also controls another 9 kilometres of Brunswick Horizon between the Brunswick No. 6 and Brunswick No. 12 mines following recent staking. Based on established geological, geochemical and geophysical indicators of volcanogenic massive sulphide deposits in the BMC. All targets are between surface and 200 metres vertical depth. Osisko Metals captured most of the previous GIS databases (geology, geochemistry, geophysics) and drill hole databases for the BMC. Incorporated new surface data and stratigraphic interpretations from new mapping and stratigraphic geochemistry from the Government of New Brunswick. 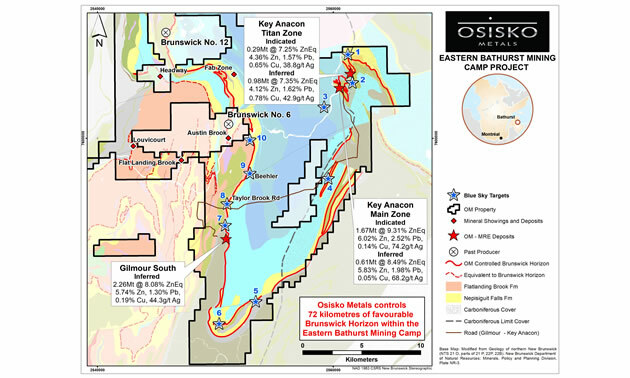 Incorporated new data from Osisko Metals drilling at Key Anacon and Gilmour South. Collected and analyzed portable XRF data on drill core for alteration, mineralization and geochemical stratigraphic markers. Developed Common Earth Models in GoCAD software allowing for the visualization and interpretation of all datasets in one 3D platform. Developed and prioritized targets following completion of the BMC Mineral Resource Estimate (see press release dated February 20, 2019). Advanced 3D Common Earth Modeling was performed by Mira Geoscience using GoCAD software and incorporated all sources of previous data and newly generated information. The Company’s objective in the BMC is to identify potentially economic mineral resources that will feed a central mill complex from multiple sources. Exploration is focused on the Brunswick Horizon, that is a regional volcanic unit that is host to the historical world-class, past producing, Brunswick No. 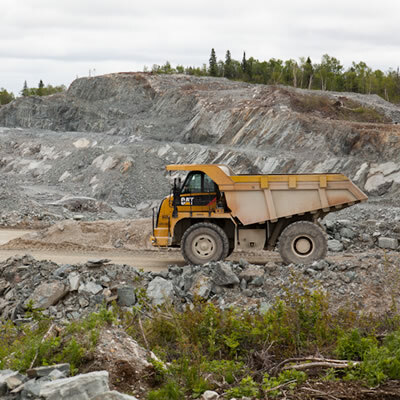 12 mine (Past production: 137Mt @ 8.74% zinc, 3.44% lead, 0.37% copper and 102g/t silver – source Government of New Brunswick) and past producing Brunswick No. 6 mine (Past production: 12.2 Mt @ 5.43% zinc, 2.15% lead, 0.40% copper and 67g/t silver – source Government of New Brunswick). The Key Anacon project is located 16 kilometres east of the former Brunswick No.12 mine and is accessible by paved roads. The Key Anacon Main Zone and Titan Zone deposits are situated along the Brunswick Horizon and have current mineral resources reported on February 20, 2019. The sulphide mineralization in these deposits is typical of that present in the former Brunswick No’s 6 and 12 mines, being of coarser grain size than deposits in the northern part of the BMC. Except for sporadic exploration programs at Key Anacon conducted in 1992-1993 and 2000, almost all of the drilling was completed in the 1950’s and 60’s. The earlier drilling led to the establishment of a 460-metre-deep shaft, a ventilation raise, eight levels and three sub-levels at the Main Zone. The deposit is open at depth and along strike. The Gilmour South project is located 27 kilometres by road from Key Anacon and is located 10 kilometres due south of the former Brunswick No. 6 Mine. It has current mineral resources also reported on February 20, 2019. Gilmour South has not been well-delineated outside of the core resource area and has been investigated by relatively sparse historical drilling at approximately 200 metre centres. The scientific and technical information contained in this press release has been reviewed and approved by Robin Adair, P.Geo. VP Exploration of Osisko Metals, a "Qualified Person" within the meaning of National Instrument 43-101 – Standards for Disclosure of Mineral Projects and is registered as a Professional Geoscientist in New Brunswick, Quebec and the Northwest Territories. Osisko Metals is a Canadian exploration and development company creating value in the base metal space with a focus on zinc mineral assets. 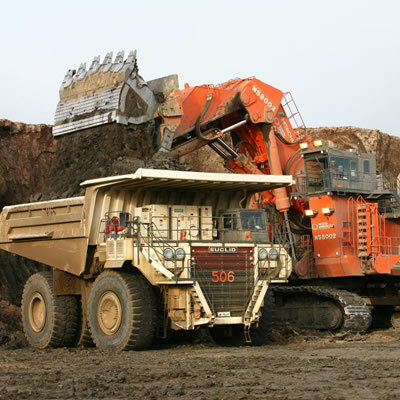 The Company controls Canada’s two premier zinc mining camps.